Lance Pototschnik and his friends must have booked their trip with that agency. Their incredibly affordable "vacation" was meant to be a relaxing time to meditate on the direction of their languid, aimless lives. Instead, they are introduced to hell and the insane diversity of its tortures. Marooned on a remote sea turtle conservancy with a handful of fellow unanchored souls, Pototschnik, in his hilarious debut memoir, ponders who he essentially is, and what he is likely to become. But he speaks to all of us. In Pototschnik, those who have fallen prey to the desolation of broken dreams, the young and the listless, finally find a voice with the talent to cast out demons and turn them into laughs. Through his own outrageous tale, Pototschnik offers the questions of the brooding, the concerns of the anxious and the hopes of the hopeless in a witty, irrepressible voice that will not shame them. Beneath its shell, this rollicking, episodic story is also a treatise about finding your purpose, realizing your full potential and learning to love your own life. Pototschnik's very personal book happens to be the story we have all been hoping for. 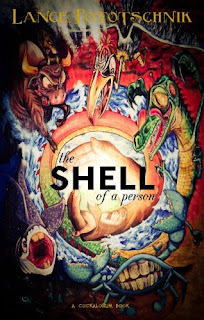 The Shell of a Person is one of the best works by an emerging this year. A young girl slaughters her entire family in a quiet suburban neighborhood. The police say she snapped, but Soren Chase knows the truth. 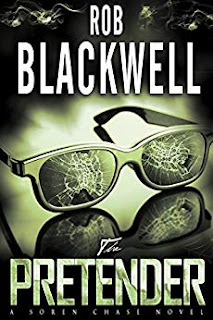 Having dedicated his life to hunting down the creature that murdered his best friend and left him framed for the crime eight years ago, Soren expertly recognizes the villain’s hallmarks in the young girl’s rampage: a pretender—a supernatural creature that can steal the identity and memories of its targets—has struck again. Recently shattered by the realization that the monster he hunted for so long is far closer than he ever imagined, Soren needs to find a way to put the pieces back together if he wants to protect his remaining loved ones. To face this new threat, Soren must learn to cope with the past, forge an unlikely alliance, and battle an ancient foe with a sinister agenda that could kill millions.